When Gollancz began their cover reveal for this book, I was instantly drawn in and was dying to know more. 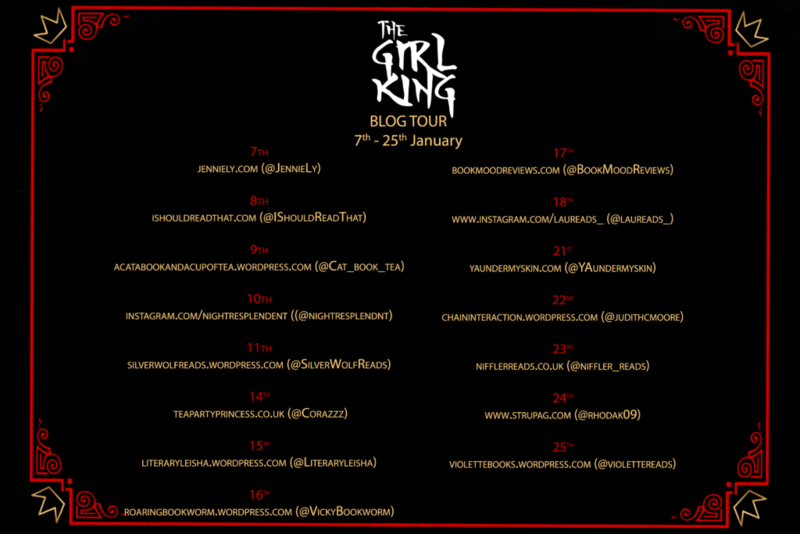 So, when I was invited to participate in the blog tour for The Girl King I jumped at the chance. Thankfully, the book proved to live up to the striking cover (all be it with a few minor niggles on my part). Like many books of this genre, the premise is simple yet affective; Young Woman who is coming of age is trying to break the patriarchal society by becoming the first female leader of her country/empire. However, this is not meant to be as her birth right is denied to her when her cousin is named as heir. This sets in motion a series of events that end in showdown with serious repercussions for all those involved. The first thing that struck me about this book was how similar Lu and Min were to the Stark sisters from Game of Thrones (apart from the age reversal with Lu being the rebellious one and Min, as the younger sister, wanting to confirm to societies demands on her). This is where the two series end, for The Girl King has its own voice and identity far from Game of Thrones. Overall, I found myself enjoying how the book played out and Yu has created a world that is familiar, yet different with its inspiration from Asian folklore and fiction. However, by the end of the book Lu is no closer to gaining, to what she sees as her birth right, which is to be the first Female Emperor of her people. On reflection, this book seems to be setting the groundwork for a much bigger fight to come. There are many loose ends and though I did feel satisfied, there were still many unanswered questions; the main one surrounding the circumstances surrounding Min being cursed with immense power that she cannot control. In fact, there are a lot of unanswered questions surrounding this that left me frustrating. I do think we may get answers to this should Lu’s plan succeed in book 2 and there may be something more to Lu that is yet to come. The strangest thing is that although there is minimal character development on the three main characters, at least from a personal growth point of view, I still enjoyed the book. If I were to choose one character who I had became the most interested in, it would have to be Min. She has been thrust into a vipers den and is alone in trying to navigate her way through it in order t survive. Yes, I do feel that her misplaced “love” for her cousin/husband reminded me so very much of Sansa Starks crush on Joffery, but as her power begins to manifest and grow, I wanted to see how long Set, his advisor and her mother could keep her under control. By the close of the book, I still feel that there will be a reckoning, but how much this power will corrupt Min and therefor destroy or damage her relationship with her sister, I don’t know. I do know I cannot wait. 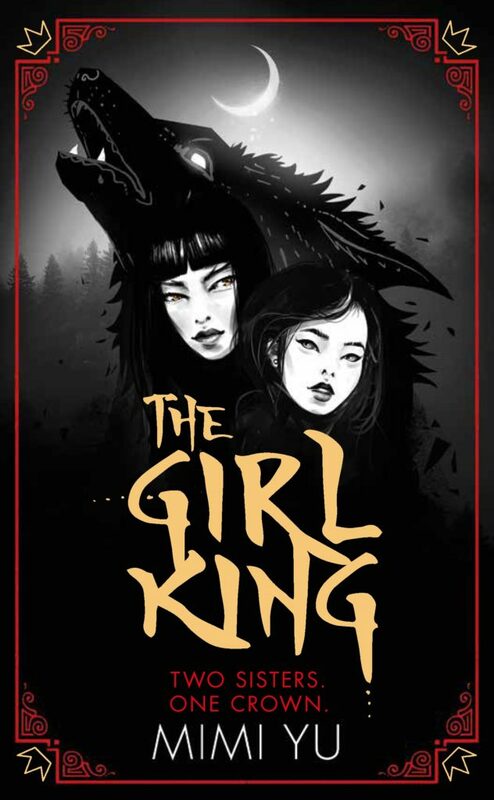 The Girl King is a great start to a new series, with lots of mythology and world building within. 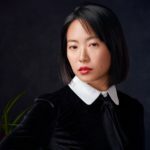 For a debut author, Yu has a great knack for world building that a few established authors could take lessons from. For me this was slightly at the expense of her charcters, but the book is saved by Min, at least for me.